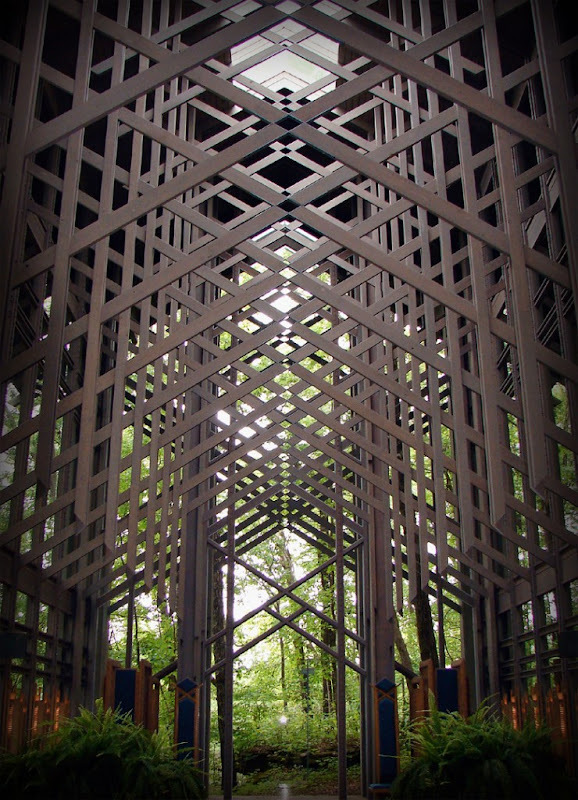 THORNCROWN CHAPEL — CLAFLIN, THAYER & CO.Claflin, Thayer & Co. 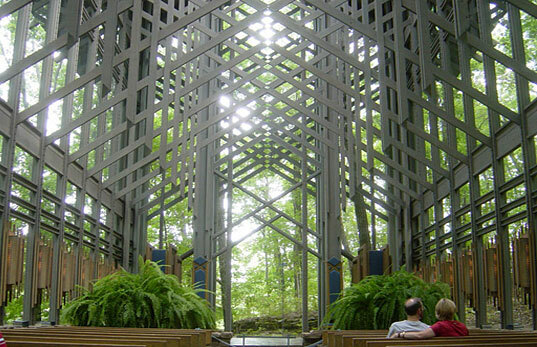 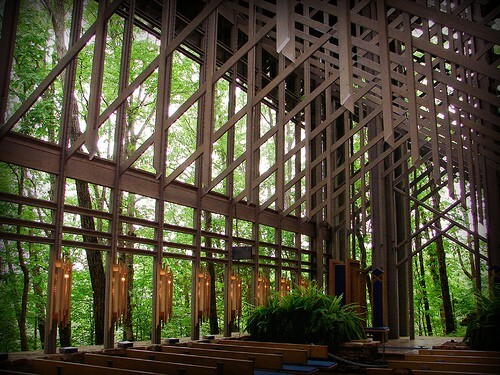 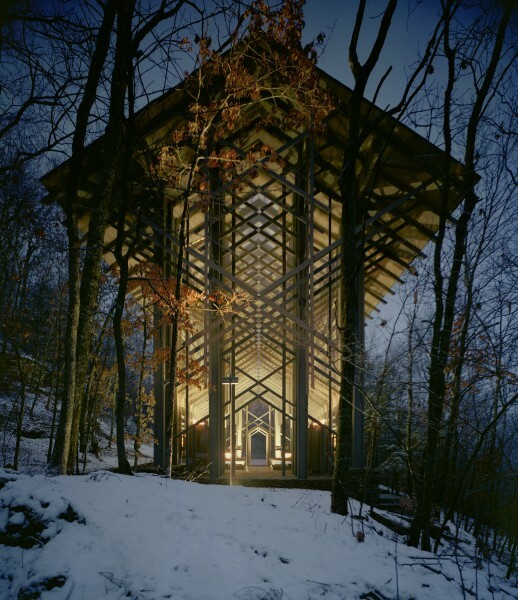 Here is the Thorncrown Chapel in Eureka Springs, Arkansas, designed by architect E. Fay Jones in 1978. 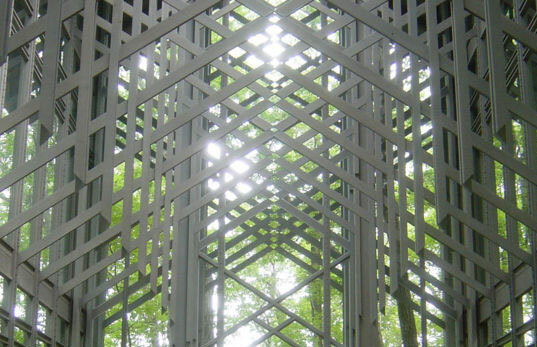 I love the indoor/outdoor feel of this place and the intersecting graph patterns the beams inside make. 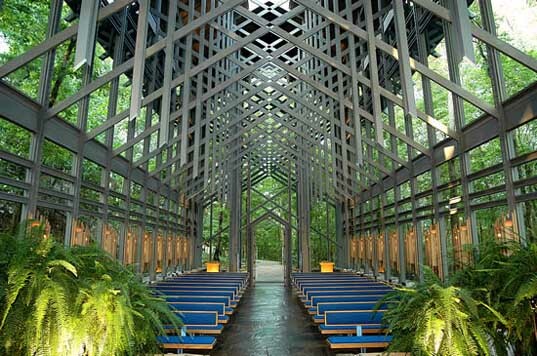 If only this place could be my home, I'd be the happiest person.